An award-winning ecologist, Rebecca Pradhan, 63, believes people living in harmony with nature are the richest than those who have material wealth. Rebecca gets her love for plant and different species of birds through her Botanist father. Ever since she was a child, Rebecca knew her undying passion- to conserve natural species. Her love for ecology and efforts won her the ‘Hotspot Heroes’ at the International Union for Conservation of Natures’ 6th World Conservation Congress held in Honolulu, Hawaii, recently. 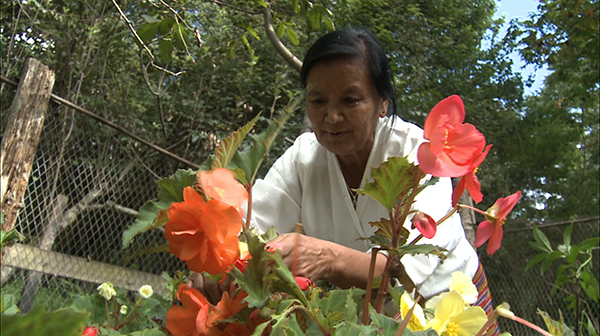 Rebecca said the success is the country’s as ever Bhutanese is collaborating to conserve environment. During her free time, Rebecca teaches plant and bird species to interested tour guides and children. Rebecca is working with the Royal Society for Protection of Nature as a senior ecologist.